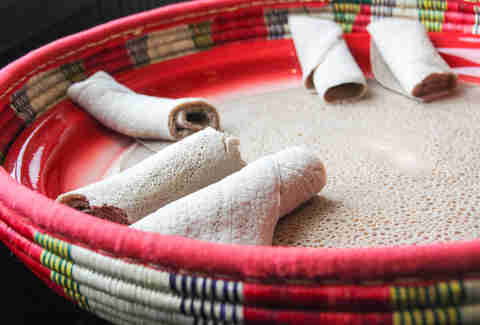 It's only fitting to celebrate the birthplace of man by eating how you did right after you were born, but since there's no cutlery shaped like airplanes, you'll just have to dirty your hands with simmering sauced meats cradled in injera bread that's made by a chef whose recipes originated at her family's restaurant back in Ethiopia. This is your knife, fork, spoon, and spork. 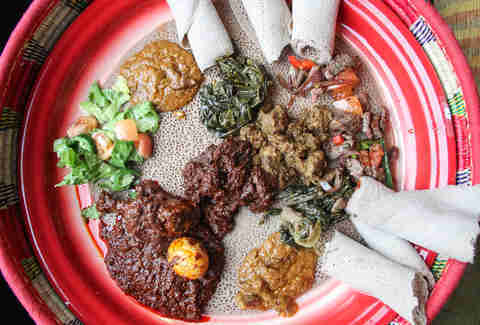 Dig into a beef combination platter starring the Habesha Special Kitfo, which is very lean minced beef seasoned with ground hot pepper, mixed with "special" butter, and seasoned with cottage cheese and greens. 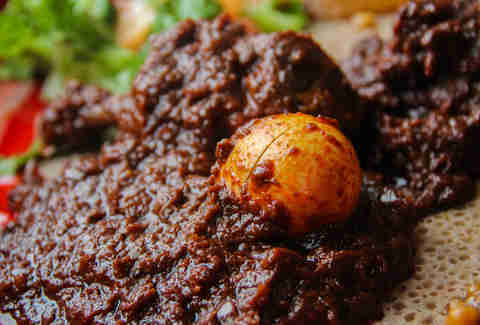 The above pictured Doro Wot is Ethiopia's most popular dish: chicken stewed in a ton of savory spices and served alongside a hard-boiled egg. 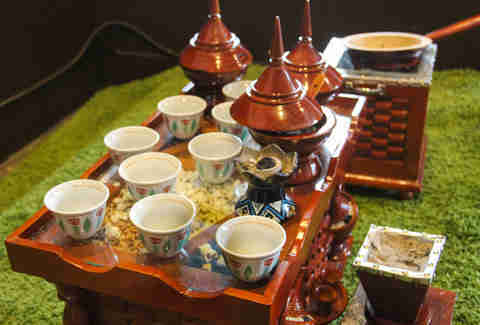 Ethiopia's also the home of the first coffee beans. 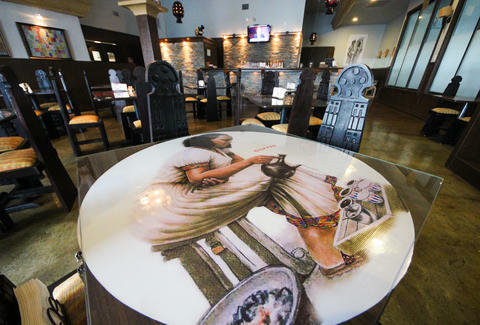 Order a cup and you'll experience a ritual ceremony where you sit on the floor and watch as the beans are roasted, until Lisa Lampanelli says something crude, and they're forced to quickly cut to commercial. 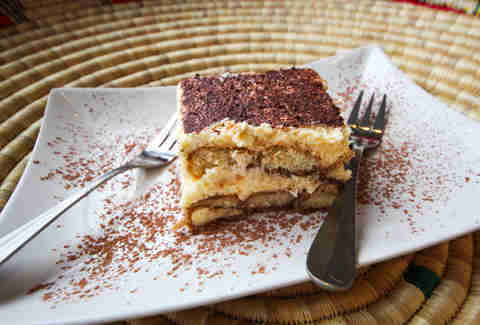 Okay so Tiramisu isn't from Ethiopia, but come on, don't be a baby.